More than one-third of all browser searches and more than half (56%) of mobile searches results relate to “near me.” The rise in conversational AI, such as Alexa and Siri has added to this trend, which is changing how search results appear in Google. Before Google displays results pulled from your website SEO, it will show results from Google My Business listings first. These listings allow for consumers to quickly find all the information they need, without having to comb through a business’s website. Now you may be wondering if your business has a Google My Business listing. To find out, do a simple Google search of your business and see what results appear. You may be surprised to see that a Google My Business listing appears for your business. Can’t recall creating one? That’s the magic (or danger) of Google; they automatically create a listing for you. Google compiles user suggestions and their army of web crawlers to input as much information about your business as they can. However, many times this default information that’s showing isn’t always correct. If you haven’t claimed and populated your business listing, it could show an old location address, the wrong contact information or even have your website link to a competitor’s website. Claiming your Google My Business page is easy. 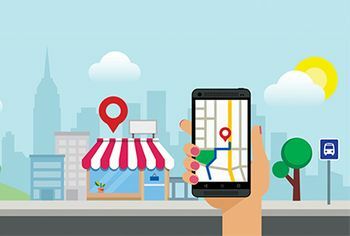 Once you find the Google My Business listing created for you, you’ll see an option to “claim this business.” The online process will take you through a series of steps to confirm you are the legitimate owner of the listed business. Once this is completed, you will be able to edit any existing information, as well as add additional information that may be helpful to consumers. So what information should you include? The basics are required, such as address, contact information and business hours. To fully optimize this high profile listing, you should add as much relevant information as you can. This includes a business photo, upcoming events, deals you have running and reviews. You want consumers to be able to learn about your business by looking at your Google My Business listing. The more relevant information you include, the higher up you will appear in Google’s search results. Two important things to remember about Google listings. First is that they include reviews, which allow anyone to post comments about your business. This feature cannot be turned off, so it’s necessary to monitor your listing. Make sure to respond to both positive and negative reviews you may receive, as well as answer any questions consumers ask. Anyone can also “suggest an edit,” which is another reason to keep an eye on your listing. Google My Business is an important SEO tool for your business. It works as a one stop shop for all information consumers need to know. Once set up, continue to update your Google My Business with upcoming events, posts about new articles on your website or exciting things happening at your business.